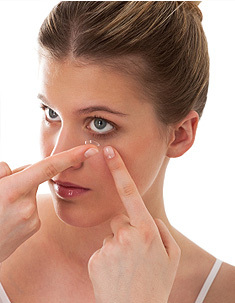 ACUVUE® lenses are #1 prescribed by contact lens specialists, in the U.S. and around the world. And whichever ACUVUE® lens you and your contact lens specialist at Parrelli Optical choose, you’ll enjoy comfort, clarity and convenience, at a cost that may surprise you. Along with the convenience of no solutions, no lens cases, and no hassles, 1·DAY ACUVUE® MOIST® Brand Lenses gives you exceptional comfort from the moment you put them in, to the moment you toss them at the end of the day. ACUVUE® OASYS™ Brand features next generation HYDRACLEAR® Plus** technology that can keep your eyes comfortable all day long – even in tough surroundings that can make your eyes feel tired and dry. ACUVUE combined the visual stability of their revolutionary Accelerated Stabilization Design and the exceptional comfort of HYDRACLEAR® Plus** technology to form a lens like no other. The result is consistently clear vision that’s remarkably comfortable – even for people with an active lifestyle. Schedule Your Free Trial at Parrelli Optical Today! ACUVUE®, ACUVUE® OASYS™, ACUVUE® ADVANCE®, 1·DAY ACUVUE®, 1·DAY ACUVUE® MOIST®, HYDRACLEAR®, LACREON™, ACUVUE® 2™, ACUVUE® 2 COLOURS™ are trademarks of Johnson & Johnson Vision Care, Inc.
†1·DAY ACUVUE® MOIST®is the only daily disposable lens with LACREON™ Technology, which permanently embeds a water-holding ingredient, similar to that found in natural tears, into the proven etafilcon A contact lens material. ACUVUE® and ACUVUE® 2 COLOURS™ are trademarks of Johnson & Johnson Vision Care, Inc.